Garden Party Chic in Vero Moda Marquee ! I’m super thrilled with my latest collaboration with ‘VERO MODA’ for their latest ‘Marquee‘ designer collection- a limited edition line designed by filmmaker Karan Johar. Marquee marks a first-of-its-kind collaboration between Karan Johar and the brand. The filmmaker turned designer has simply outdone himself with this collection. I was totally love-struck when I saw the preview of the collection,it has three three distinct lines – Dreams In Ivory, Future Posh and Kaleidoscopic Folklore. For today’s outfit post I styled theses two exquisite pieces from the ‘Dreams in Ivory‘ line of the ‘Marquee’ collection. This particular collection has dreamy and feminine weaves and knits matched with vintage shapes render an ethereal elegance to this collection of ivories. The translucent weaves, details in gold thread and timeless pearls and beads create a truly regal, ageless and classic fashion experience that disregards all temporary fashion fads and seasonal trends.Couture-like, high-fashion and extremely feminine with trellis designs and flowy pleats, the collection comes together to create the perfect occasion-wear line. 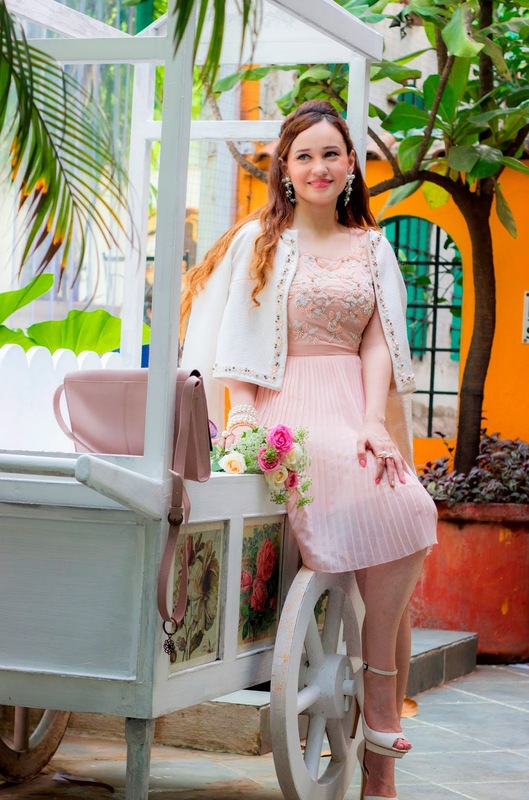 My theme for today’s outfit post was ‘Garden Party Chic‘ and I styled two pieces from the Dreams in Ivory collection, one is this beautiful powder pink pleated dress with intricate embellishments in pearls and crystals paired with this beautiful ivory blazer with exquisite floral, leaves embellished detailing on the edges. The embellished detailing on the garments is total perfection, the light layering and pastel hues are perfect for the onset of fall . I loved the totally timeless, feminine, elegant and vintage feel to the whole look. 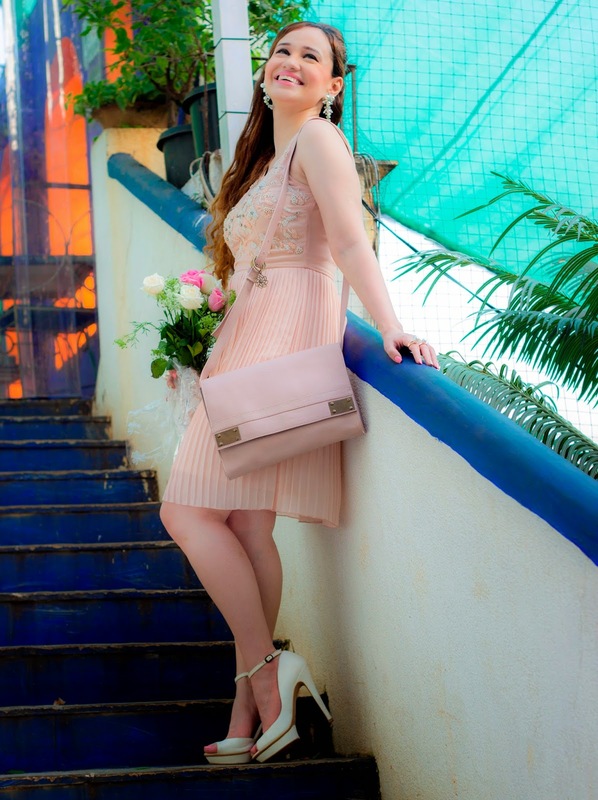 I accessorized the look with some pretty pearl jewellery, carried a blush pink bag and wore my white peep-toe heels. 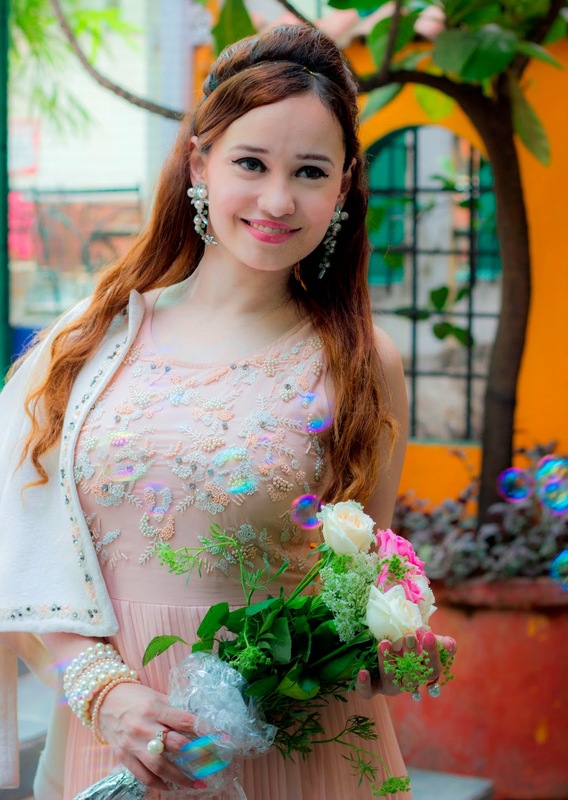 I felt so whimsical and truly dreamy in this pastel hue ensemble midst the lush greenery, pretty roses and floating bubbles. If you are as obsessed with the Marquee collection as I am, you can have a look at the entire VERO MODA Marquee Collection here and also shop the collection at the nearest VERO MODA stores. Absolutely beautiful! That dress is gorgeous! The dress is outstanding you look amazing. Check out my latest OUTFIT POST and feel free to enter my Oasap GIVEAWAY ! you're a princess *__* stunning! 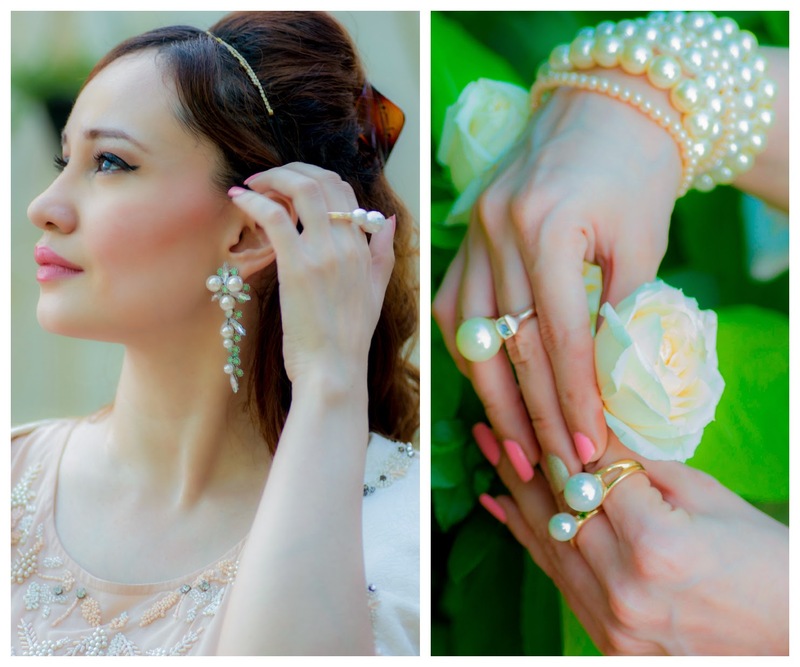 Stephanie….you really look like a fairytale princess..delicate and classy…so is the dreamline range…loved your outfit…lovely pictures..great theme. You look so effortless in this dress. What a beauty! Can you tell me where your shoes and earrings are from?